Okay, so since you’re asking so nicely, it all happened absolutely innocently when I was procrastinating on Instagram and was amusing myself with actually reading the profile blurbs of people out there. One of them included said abbreviation. Obviously, that inspired me (besides checking if the claim is correct) to delve head first into the depths of the Urban Dictionary to try to find if there’s a nice abbreviation I could use for my profile. 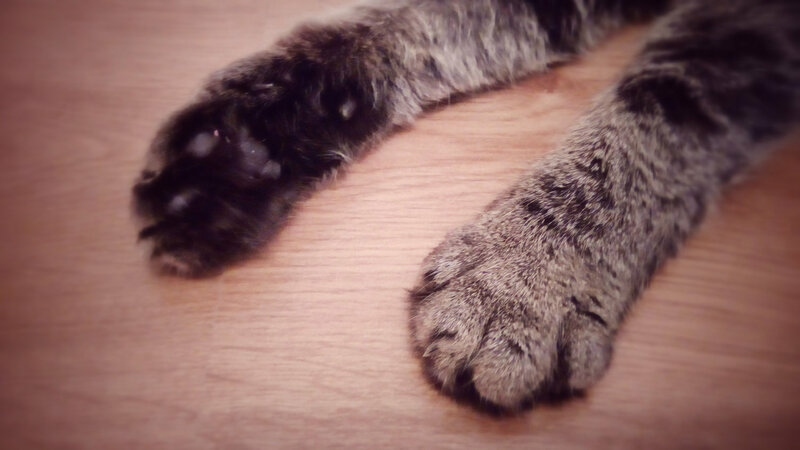 These cat paws are so relevant, read on! There indeed are many abbreviations I could use but none of them is nice. Hey, Urban Dictionary, be gender fair! I want something sassy in my profile too! Alright, maybe I don’t, but I have no clue what I want, so whatever. The point of this free-writing exercise is that I found for myself a perfect definition. It’s a gem because it’s a fair definition of the cat lady! A woman who is fond of cats so much that she decides to live her life with cats all around her than being with chauvinistic male. The catladies are independent women who know how to take care of their cats. They are proud, highly intellectual beings having a behavior resembling that of a cat itself. I’m only slightly concerned that the definition seems to suggest that all males are chauvinists, but let’s not overthink it. It’s not like it’s the Oxford Dictionary (whose definition of the same phrase is, as could be expected of the classic dictionary, boringly unadventurous). So, being defined as a smartass catty lady is cool and I subscribe to it. Prev What I Hated the Least Today 266/365: Freeedooom!!! I particularly like the part about being independent and highly intellectual. Of course you are. Aw, thank you for joining my subscription to this definition 😀 It’s obviously for fun, but they have a point. I’m not sure why cat ladies often get such a bad name. That there Urban Dictionary should be x-rated! I think it probably is 😀 Certainly not-safe-for-work rated. I do LOVE the catlady definition though! Oh, dear. My cats and I raise our paws….hands. Why yes, I am independent and highly intelligent. Aren’t all cat ladies alike? Yes, we are. Meow. Yes, indeed. My cats blushed…. Please write one… Though it would probably be X rated. It all depends on my mood – I have to be on the edge of mania for funny stuff, but I want to have a go, though the next few days are likely to be busy for me as we have a by election coming up. “Have to be on the edge of mania for the funny stuff”, so true for me too! I wish I’d only produce funny stuff but it refuses to work this way. Plus: cool definition of a cat lady.